Despite trade and tariff tensions, three-quarters of U.S. corporate executives expect to close more and larger deals next year than they did in 2018. 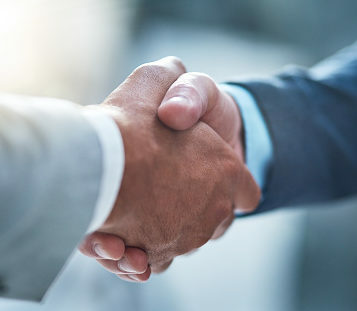 After a strong 2018 for mergers and acquisitions activity, despite a recent dip that’s partly attributable to intensifying trade wars, what can be expected on the M&A front for next year? To be sure, an end to the trade tensions is not in sight. Still, look for 2019 to be a banner year for deals, according to a report released on Thursday. Deloitte polled 750 executives at U.S.-based companies and 250 at domestic private equity firms. Among the corporate participants, 76% said they expect their organizations to close more deals next year than they did in 2018. That sentiment was even stronger among the PE crowd, 87% of whom anticipated making more deals. Moreover, the higher number of transactions won’t come at the expense of dwindling deal sizes. Among the full survey base, 70% said they expected the average size of M&A events will exceed this year’s volume. At least six in 10 executives in every industry grouping Deloitte studied forecast bigger deals ahead, ranging from technology/media/telecommunications (73%) to life sciences and health care (61%). In prior Deloitte reports, the leading obstacles to M&A activity were global economic uncertainty, capital markets volatility, and deal valuations. But while economic uncertainty was still cited in the new survey as the biggest obstacle, all three of those categories were cited by fewer respondents this year. Moving up the list of concerns for dealmakers were other factors: potential delays in business-related regulation; rising interest rates; antitrust issues; and shareholder activism. In this year’s survey Deloitte asked for the first time about trade and tariffs. Among corporate respondents, 36% said global trade uncertainty was negatively affecting interest in deal-making. Oddly, 9% of them indicated such uncertainty has actually increased the desire for M&A transactions over the past year. Private equity executives saw trade and tariff trends in a much gloomier light: 58% said they expected tariff negotiations would have a negative impact on their operations in the coming year, and 55% predicted tariffs would do the same to their cash flow. As for deal drivers, more than half (53%) of survey respondents said the Tax Cuts and Jobs Act has provided them with additional capital to facilitate transactions. Last year, corporate respondents cited acquiring technology assets as the number one strategic M&A driver. This year, that motivation has been surpassed by efforts to expand customer bases in existing geographic markets and to expand and diversity products and services.